The warehouse retailer took steps to control use of medically important antibiotics, the overuse of which in animal agriculture presents a risk to human health as bacteria become resistant to the drugs. The move comes as Costco is investing hundreds of millions of dollars to control more of its poultry supply chain. Costco, in the midst of developing its own poultry processing plant to go with an already substantial company-owned beef supply operation, has set out new standards and monitoring requirements for antibiotic use in animal agriculture, making it one of the largest food retailers to take on the issue. Antibiotics important to human health have been overused in meat production, contributing to the development of antibiotic-resistant bacteria, which the World Health Organization warns could cause 10 million deaths a year by 2050. Costco’s move, cheered by an environmental group that drafted a shareholder proposal urging the Issaquah-based warehouse club retailer in this direction, comes as meat producers, following Food and Drug Administration guidelines, are adjusting their practices to limit antibiotic use to when it’s most needed. 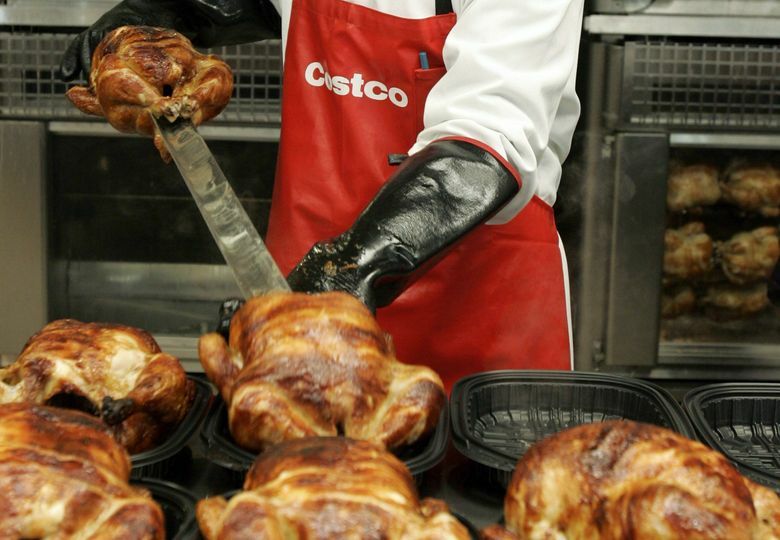 Costco’s enormous size – it sold more than 61 million rotisserie chickens alone in its 2017 fiscal year — gives it a great deal of influence on the supply chain. On Friday, Costco updated its published animal welfare policies to include the antibiotics standards. It also signaled that a new set of “Supplier Expectations for Animal Welfare” would be introduced next year. No executive was available to speak about the policies Friday, but according to its website, Costco’s policy limits use of antibiotics to “therapeutic use,” meaning “the prevention, control, and treatment of disease and not, for example, for purposes of growth promotion or feed efficiency.” That had been a common practice in the past. It also requires antibiotic use to be under supervision of a veterinarian. The company’s standards – which will become “mandatory and monitored” no later than December 2020 – hew closely to FDA’s guidelines released in 2012. Despite those guidelines being nonbinding, they’re becoming typical practice for much of the beef industry as producers confront the problem of antimicrobial resistance, said Dr. Andy Allen, a veterinarian at Washington State University. “I work with a lot of these producers and they’re all on board, they’re doing these things,” he said, noting that beef producers now need something akin to a prescription from a veterinarian to buy feed with antibiotics added. 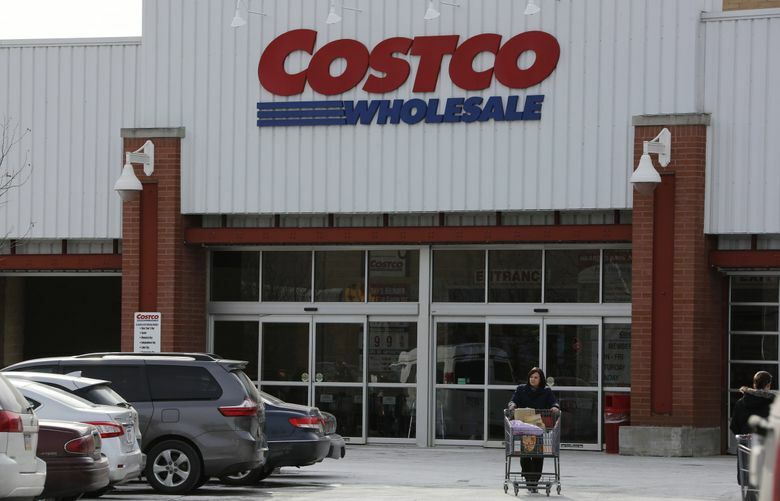 Christy Spees, environmental health program manager at As You Sow, which worked with Costco executives on the new policy, said the company’s pledge to monitor compliance is particularly significant. “There really isn’t anyone currently going to farms and actually checking up on how farmers are using antibiotics,” Spees said, adding that it’s a big step in the movement of retailers taking more responsibility for their suppliers’ practices. Costco processes its own beef at a plant in California’s Central Valley. In Nebraska, it is developing a huge chicken plant, looking to repeat past successes in controlling the quality and cost of its meat supply. It also buys from third-party suppliers. Costco’s size, investment in the chicken supply chain and good reputation for corporate social and environmental responsibility prompted As You Sow, which has mainly worked with restaurant chains and poultry producers, to approach the company, Spees said. Among major grocery retailers, only Amazon-owned Whole Foods now has a stricter antibiotics policy than Costco, she added. “We’re happy to see them taking the lead in the retail sector and we hope others will follow,” she said. There’s more that the company could do on antibiotics, Spees said, noting that her group’s larger aim is to end factory farming. The FDA guidelines allow routine use of medically important antibiotics – though Costco intends to “assess the feasibility of eliminating” that use as well. Allen said antibiotics remain a vital tool, but beef producers are finding ways to use them sparingly, with changes accelerating over the last decade. For example, in the past, all the cattle arriving on a feedlot might have been given antibiotics as a guard against disease, even if they weren’t sick. Now, best practices involve sorting the animals by whether they’ve been properly vaccinated, recently weened, or had to travel a long distance to the lot. Only the animals at highest risk are given antibiotics, Allen said. “They’re being much more judicious with that preventative-type antibiotic use,” he said.